Happy Sunday! I am still surprised at how quickly January is moving. Thankfully, I’m no longer feeling that bad cold virus and I’ve been able to have a normal appetite and get back to working out! I actually start Cherry Blossom 10 Mile training tomorrow, so I’m really excited to be back and ready to go! Today I thought I’d share some healthy recipes for SuperBowl Sunday. So many people love to throw big parties this time of year for the big game, but sometimes you’re not surrounded by the healthiest options! Here are a few that I rounded up from some great healthy food bloggers! I thought I would round-up some healthy ideas for SuperBowl Sunday! I’m still not sure where we’re going to watch the Seahawks beat the Patriots (I’m from Buffalo, there’s no way I could EVER root for the Patriots! 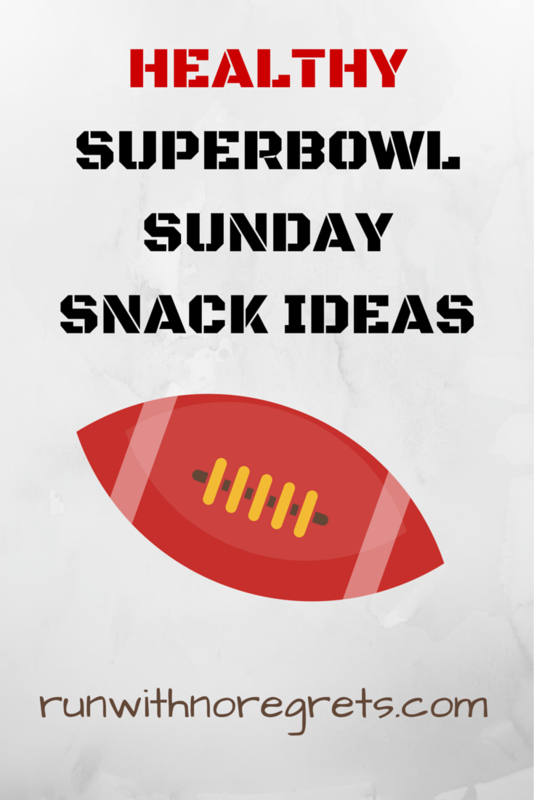 ), but I’m already thinking about what kind of tasty snacks to have on hand for the big game! Here’s a roundup of some interesting, healthier options, whether you’re staying at home or want to bring a treat to a friend’s party! These recipes aren’t too hard to make but add a little bit more nutrition to full day of snacking! Stuffed Mushrooms from Skinny Ms.
I’ve always got a sweet tooth…here are some delicious options that won’t have you feel too guilty at the end of the day! No, you do NOT have to chug beer and soda to have a fun time watching the SuperBowl…check out some of these healthier options! 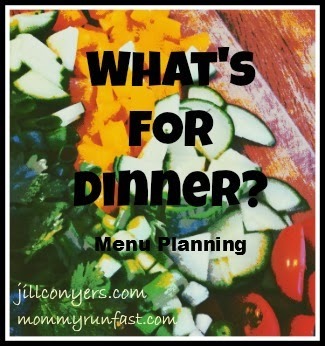 I’m linking up with Jill Conyers and Laura from Mommy Run Fast for What’s for Dinner! What are you making for SuperBowl Sunday? If you plan on trying one of these, let me know how it goes next week! Previous Post 5 Things You Didn’t Know About Me Next Post Cherry Blossom, Girls Gone Sporty and SweatPink!